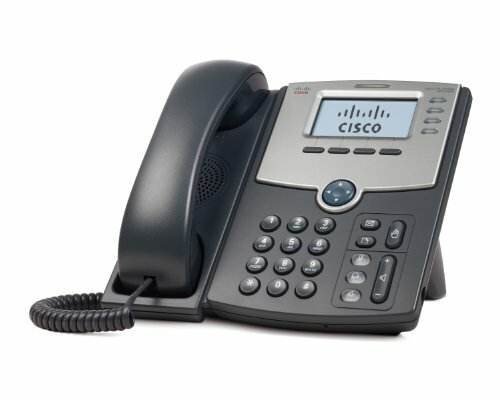 The Cisco SPA 303 3-Line IP Phone is one of the few small business telephone systems that comes with a one year warranty. The one year warranty allows you to get a full refund or replacement if the phone stops working within the first year of purchase. This phone system can be used with a Session Initiation Protocol or a Smart Phone Control Protocol. The VoiceView Express allows an employee to manage their own personal voicemail box. They can listen to, send, record and delete voicemail messages. This system has many security features such as password protection, Advanced Encryption Standard encryption, and remote provisioning tools. It can support up to three lines and can connect directly to an internet service provider or an IP private branch exchange. Other features include caller ID, call hold, conference calling, speakerphone and Ethernet ports. The system includes a phone, handset, stand, handset cord, RJ-45 Ethernet cable, power adapter, quick installation guide and CD. 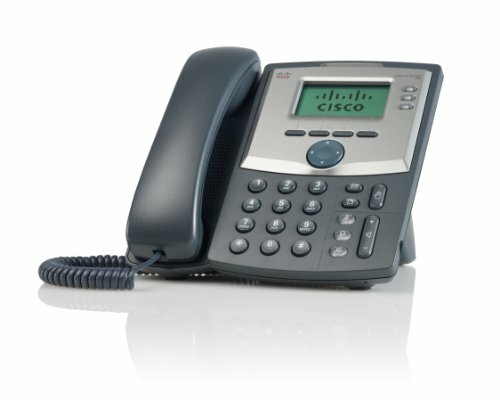 The Cisco SPA 303 3-Line IP Phone is one of the top small business telephone systems on the market today. The Cisco SPA 504G 4-Line IP Phone offers many features that other small business telephone systems do not. It can support up to four phone lines and works with both Session Initiation Protocol and Smart Phone Control Protocol. It has a speakerphone, message waiting indicator and voicemail. All calls made from this phone will be in HD Voice for enhanced voice clarity and sound quality. The system can be expanded to an additional 64 phone lines using two Cisco SPA 500S Expansion Modules. The monochrome backlit display looks good and is easy to see. This system comes with a ninety day software warranty and a twelve month hardware warranty. The Cisco SPA 504G 4-Line IP Phone is one of the best small business telephone systems for any small business. Those looking for small business telephone systems that wins awards, should look no further than the X-50 VoIP Small Business System 3 Phone System bundle. The X-50 won the CES 2011 Innovations Award. It can be connected to six landlines or eight voice over IP lines. It comes with three phones but can be expanded to twenty-four phones. The duplex speakerphone is perfect for those important conference calls with clients. The analog telephone port allows you to hook up a fax machine and the USB port allows you to hook up a printer. The self-installation is designed to be done by anyone without the help of a professional. The X-50 VoIP Small Business System 3 Phone System bundle is the perfect small business telephone system for those who are looking for an award winning phone system. The X16 Small Office Digital Phone System Bundle with 4 Phones is one of the best priced small business telephone systems on the market. Even though it is priced low, it features all of the options one would need in a telephone system. It can connect to four telephone lines but is expandable to six lines. The system includes four speakerphones but can be expanded to sixteen phones. The auto attendant will answer the phone when no one is in the office and it will direct clients to the voicemail. This phone also has call waiting and caller ID. This phone will feel like using a cell phone. It contains a digital phone book and you are able to view recent calls both incoming and outgoing. A self-install connector package and a self-install quick start guide are both included with this system. 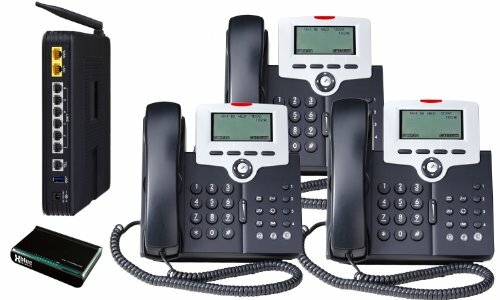 The X16 Small Office Digital Phone System Bundle with 4 Phones is a great option for those who cannot afford to spend a lot of money on small business telephone systems. 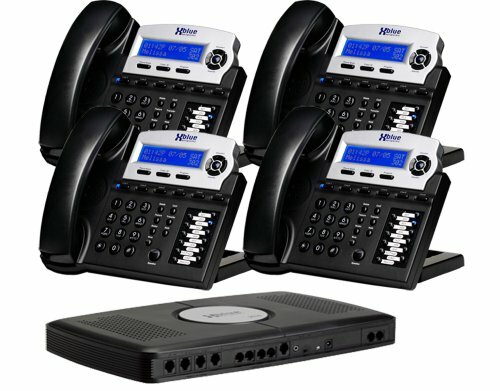 The X16 Small Office Digital Phone System Bundle with 8 Phones is overall the best small business telephone system. This phone system can connect to six phone lines with an easy installation process. It comes with eight speakerphones but can expand to sixteen speakerphones. They come in a professional looking metallic titanium finish. Like the system above, this one also has an auto attendant to process voicemail. The external call forwarding and call recording will help your business rise to the next level. Your business can even customize the on-hold music/message. This can make your business stand out among competitors. 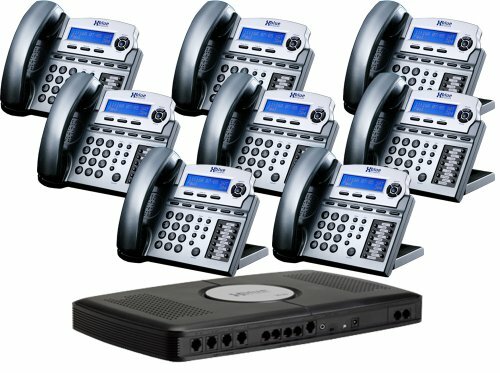 The X16 Small Office Digital Phone System Bundle with 8 Phones is the best small business telephone system on the market today. A small business telephone system can really take your business to the next level. It shows your clients that you are a professional company. A professional business has a company voicemail, can easily transfer clients to the right person and provides each employee with their own telephone. Most smaller companies can benefit from small business telephone systems.